About us, information about the Flowersmiths staff. 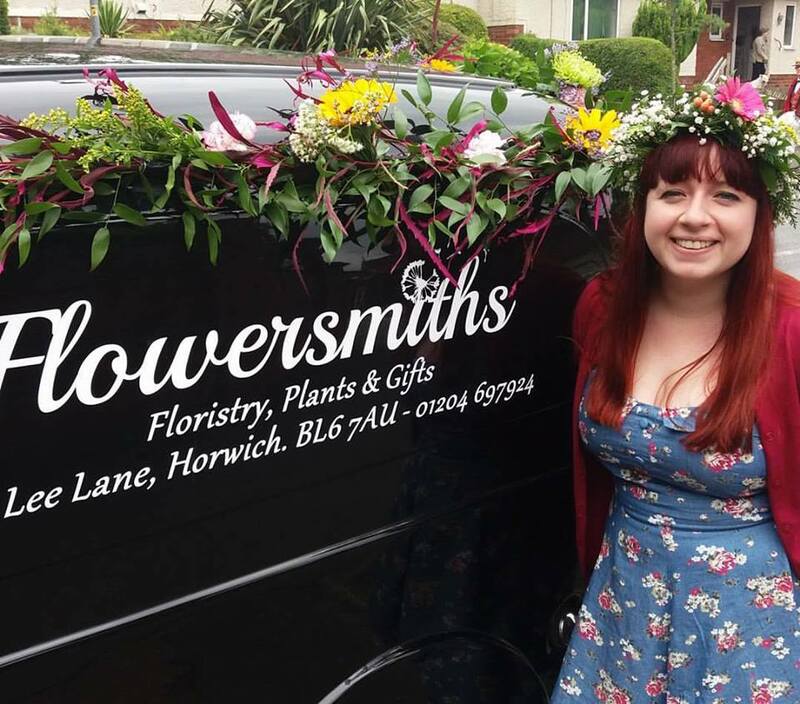 Maxine - "I started work at a local Interflora florist after applying for a trainee position. After quickly realising that I loved the job, I applied to study a one year diploma at Myerscough college to continue my floristry education. Whilst working at that shop I competed in the 'Young florist of the year' award and won for the North-West area. I worked at that shop for 5 years before moving on to a new challenge of managing a shop in Manchester city centre. After working there for a year, the opportunity came up to purchase the shop in Horwich, previously known as Harrisons and then Flower Butler. I took over the shop in June 2013 and have since changed the name to Flowersmiths, along with a lot of other changes to the interior and exterior of the shop. I love running my own shop and the challenges it brings and I couldn't imagine doing any other job!" Harry - the most recent member of the Flowersmiths team! Harry came to join us from Bleakholt animal shelter and is in the shop part-time! His favourite activities are sleeping, eating (mostly things he shouldn't!) and having his ears scratched!